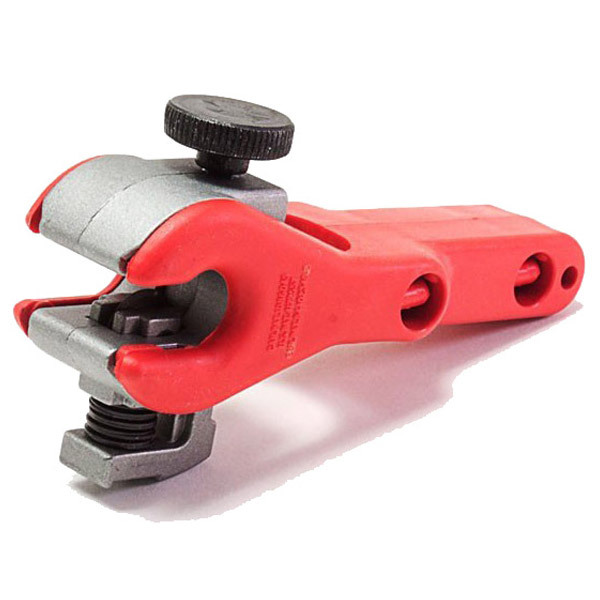 Tighten this Ratch-Cut Tube Cutter onto the tubing just one time, then start rotating the handle back and forth�ratcheting action turns it easily in tight spots. Spring-loaded mechanism keeps pressure on the blade until the cut is clean and complete. Wear appropriate safety equipment when using this tool.